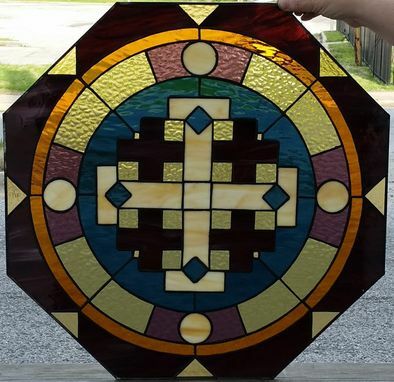 These are two gorgeous octagon windows made with the same design but different colors. 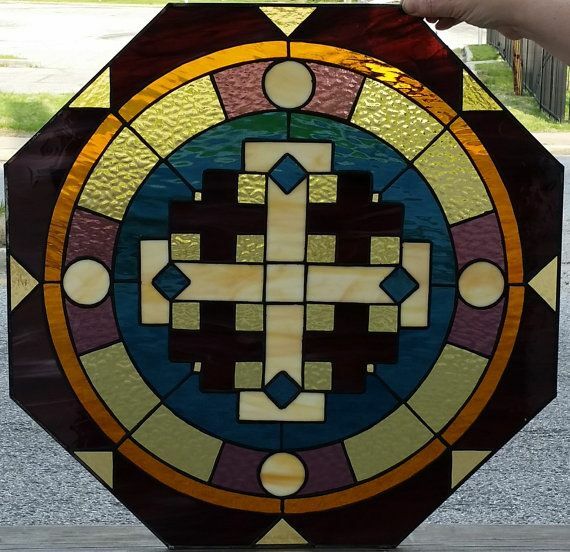 As you can see, we also created a white wood frame for them. 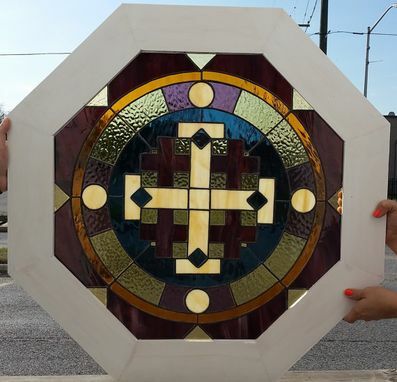 If you have an octagon window or a non-conventional shaped window, don't hesitate in contacting us because we surely can create a stained glass custom piece for you!